Fill a 12-inch skillet with about ¾ full of water, add 1 tsp salt and bring to boil. In another pan, add in crushed black pepper and toast under medium heat for 3 to 5 mins, before careful not to burn the black pepper. Add in a ladle of the boiling pasta water, mix well and turn off heat. In a medium bowl, add in grated pecorino cheese and another ladle of pasta water. Mix well. It is okay for the cheese mixture to look lumpy at this point. Cook the pasta according to the package instruction. If you like your pasta to be al dente, boil them 1 minute less from the stated time. When the pasta is almost done, heat up the black pepper mixture in the other pan. Use a pair of tongs and transfer the pasta into the pan. Toss well and add a little more pasta water if it appears to be dry. Turn off heat and allow the pasta to sit for about 30 seconds before stirring in the cheese mixture quickly. 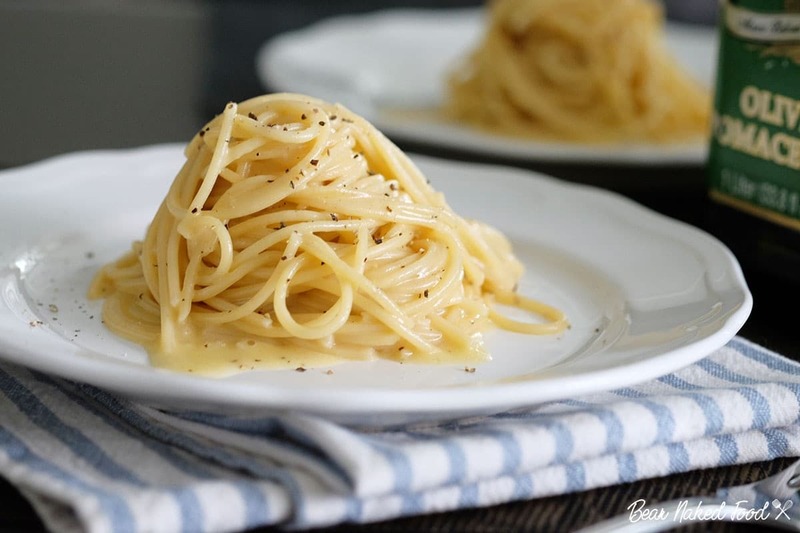 Keep tossing the pasta until you achieve a smooth and creamy consistency. Add a little more pasta water if necessary. Add in more black pepper if desire and serve immediately.